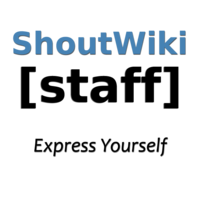 I'm Jedimca0, I'm a ShoutWiki Staff member and the founder of nl.shoutwiki, the Dutch ShoutWiki Hub. I'm an experienced wiki editor and administrator and am skilled with advanced techniques, such as CSS and templates. If you have any questions feel free to contact me on my talk page, or email me at: 0acmideJ moc.ikiwtuohs. I speak native Dutch, fluent English and a bit of German. Tę stronę ostatnio edytowano 22 lip 2012, 02:12.